Ok I was going through some of my old messages if any truth to it. He said he was working out of a guest bedroom, and was planning on building a shop inside a metal barn that was on the property. (5 acres land) That's probably the metal shed Grasshopper posted a picture of. Another message he says something about possibly moving back in with his first lady/wife. Greetings everyone regarding Duncan Hunter. I am John Tomaskovic from Ossining, New York. I sent Duncan my Theta Voyager back in January of 2014 to the address on the website after being in email contact with Duncan. It was returned repaired in one month. 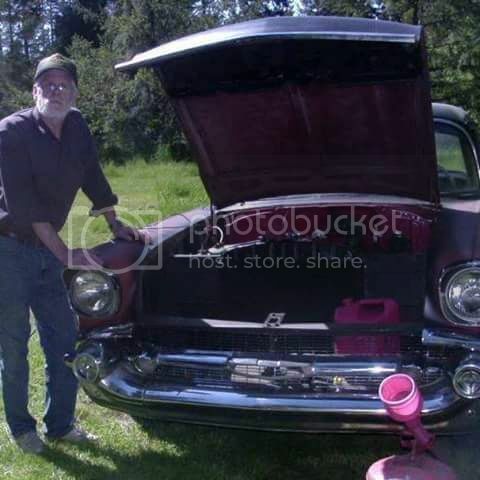 Worked fine until later that year I had another problem which I was in contact with him and it was sent to the Yelm address. It has been there ever since with very little contact other than health and divorce issues excusing his tardiness, along with the email loss as he claimed. It is now two years. I did NOT send him any money for the second repair. I happened to see the thread about this and thought it would add to the fuel! Please let me know if I can be of any assistance with a "class action" action! Not sure if the police could get involved without someone going there but I looked up the Yelm website and it is pretty lame. Appears to be Volunteer police officers, etc. When I sent my player to him I sent it to the address on the laserdisc service website via UPS. I tracked it and got an exception. I contacted Duncan and he then told me he had moved and that luckily the UPS guy knows that he moved. He had another store owner/vendor hold it for him and he went to pick it up. I have all this info in the emails from then and after that the excuses, illness, heat, wife emails and then finally nothing. From the looks of my emails the website address is long defunct although it's still on the website as I'm sure most of you know. I have sent him periodic emails over the past year and 1/2 reminding him he still has my player but no response. I would like to have someone go knock on his door. If I wasn't several states away I would do just that. I wonder if the sherrif local to him would do that with several requests? I saw the pictures from Grasshopper showing the shed with all the boxes and units piled up. That is my Theta Voyager . I called the County Police Dept, because his address, if still real, is NOT in the village of yelm, but the county police wanted a phone number to check Iif he is still there. I never had a phone number, and lost the address that i sent my player to. It was sent fedex and for some reason i trusted him and didn't keep all the paperwork like i normally do. It was a Pioneer P-D70 CD player that i sent. Lets get the pinch on him and get our stuff back. Hello everyone I didn't really want to get involved anymore with this but Ill try to help out what I can. Again Duncan treated me very well and I have no complaints towards him at all but it seems he has shafted a few people here. So after I sent him my players I read this thread so obviously I was worried because I sent him two laseractives. I contacted the police dept and because of his current address it fell within the sheriffs jurisdiction I guess. I sent my players to the frenchie lane address. I just wanted to know my options if I did not get my players and sega pac back. The sheriff did call me back. He didn't have the greatest news. He basically told me unless their fraud dept got enough complaints there was not much he could do. I would have to fill out a report etc. He gave me ok instructions on how to do this. They would need enough complaints to open an investigation. But luckily I did not have to do any of this as Duncan sent my players back fixed and working. I had a completely different experience with him than a lot of other people. I got lucky I guess. Sorry I really do not have any good news on the issue but I am just letting everyone here know what happened when I contacted the sheriff. There he is (Duncan Hunter) and his childhood car. So can you post the instructions on how we can all file a report?. This is with the County Sherriff I am assuming, since the Village of Yelm said his address is outside THEIR jurisdiction. Had to go to the County police. The sheriff did not really give me any info I wanted to hear. He basically said if the fraud does happen(I did get my stuff back so id didn't) it was a tough call since it was through the mail. He told me to make a report locally if I did not get my items back and have local law enforcement forward it to their fraud dept. That info I no longer have. Again I am not saying this is correct this is just what the sheriff told me over a conversation in which he was driving and his cell was cutting in and out. I didn't take it any further as Duncan again was good to me and got my systems back. What I was going to do was file a report here though but it didn't have to happen. https://www.ic3.gov/faq/default.aspx That is the FBIs site for fraudulent internet sites. People can try that and see if it works. I never had too. Back in the days when normal people could afford cars..
so..time pass and nothingh change.i ve been out for a while. but finally i start ro read here about police and to bulge a denunciation to him. I sent him a message three days ago asking for a status update and a timetable for the return of my player. Duncan usually replies within a few hours, but this time....nothing. EDIT (7 days later): Sent him another message...no reply. Of course, I'm way down the list of complainers here. Duncan's only had my player for nine months. I sent my Onkyo player almost 2 years ago with payment, just found this page. I can see my box in the shed photo. All I want is my player back would be willing to pay for the shipping back. I´m curious, where is the shed photo? And hey, isn´t anyone of you guys living near to Mr. Hunter? I guess even it´s a bit of a travel, I´d take my trailer and haul some of the missing players, sending them back to their owners (in case I´d live in a driving distance). No way he would take my stuff if he´d live in a 700KM radius..
I´m curious, where is the shed photo? And hey, isn´t anyone of you guys living near to Mr. Hunter? Beginning of the thread answers both questions. I'm in NJ, so there is practically nothing that is mathematically rational to actually do. Not drive there, not hire a laywer, etc. I'm iust plain out $450 or so. I would definitely pay for return shipping to me and additionally chip in to help pay for someone who does live within driving distance, to act as an agent on all our behalfs and go over there and generally just do whatever we would do if we lived there. Go harass him. Talk to the local police. Pick up the stuff and cart it away, etc. I have a truck and a trailer too and I'd be willing to do that just like you said too. Hell I'd rent a truck if I had to. One day rental and gas isn't that much spread over divide between at least a few different victims. I'm in the western U.S.; I have plans to pay a visit to either Mr. Hunter or local law enforcement within the next 60 days. Life is complicated, miles are miles, and a 20 year old laserdisc player isn't a priority...but I'll get to it, just on general principle. More as it happens. I don't have any paperwork either but I would like my Lexicon LDD-1 back and possibly the LDS2 I order. I would like my cld-92 back as well. Sorry, not planning a trip until next year. My daughter is coming home for Christmas this year. Hope everyone has their equipment returned in the new year. I'm hoping my three keep playing.